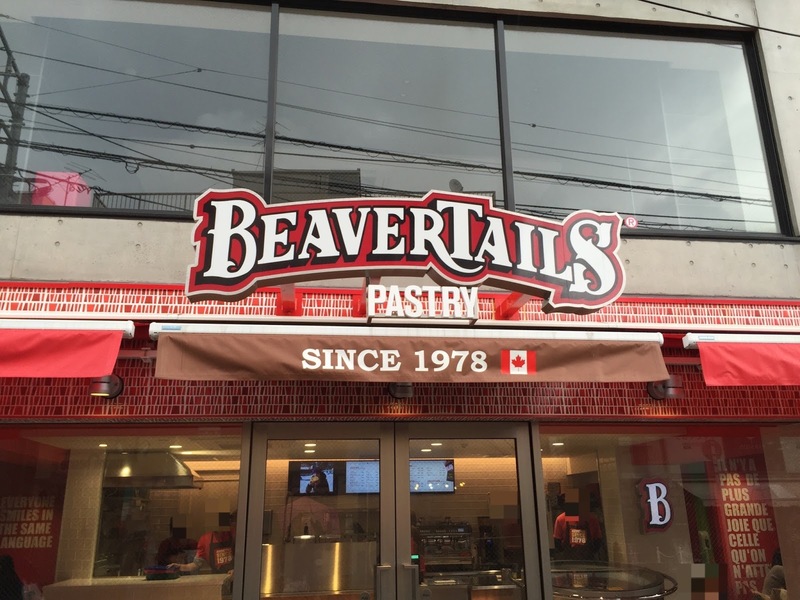 In Jiyugaoka, Tokyo, the first Beavertails in Japan opened on October 7, 2015. 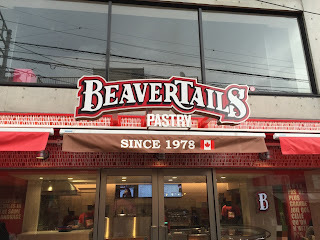 As we've had the pastries in Montreal, we wanted to see if the flavors would be the same and visited the Japanese branch. 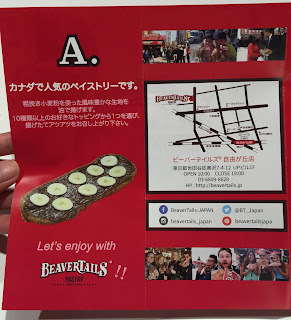 The menu was different from that of Montreal, and there're some salty flavors. 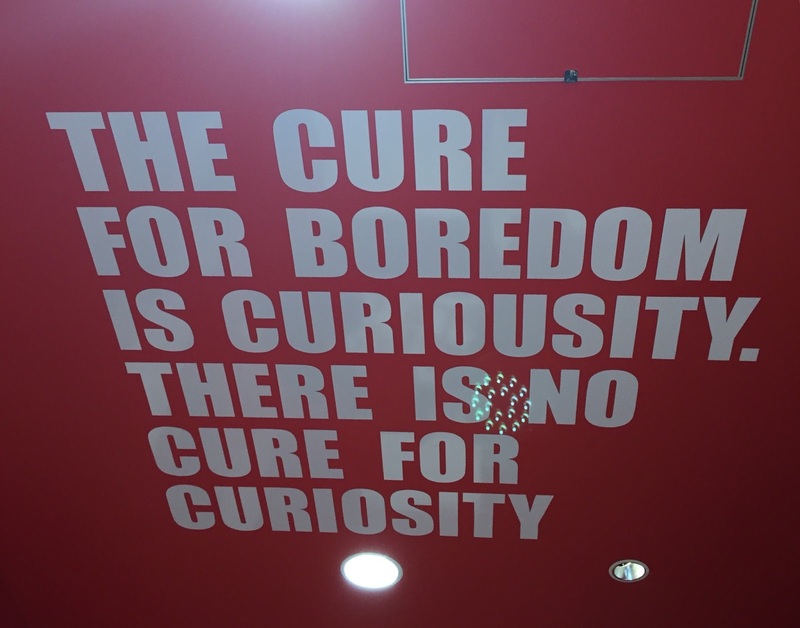 The walls and the ceiling had advertisements in French and English. 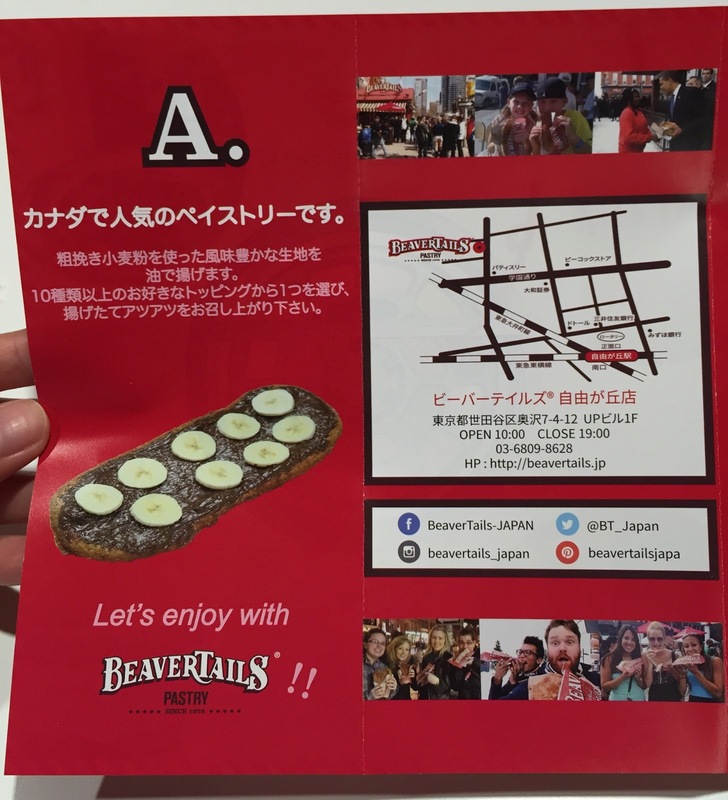 There're 10 sweet flavors and 2 savory flavors. Sweet; cinnamon sugar, cinnamon sugar lemon, Obama tail, chocolate, chocolate banana, chocolate almond, maple, sugar butter, sugar sesame and Beaver Sundae. Savory; basil garlic and spicy curry. A. 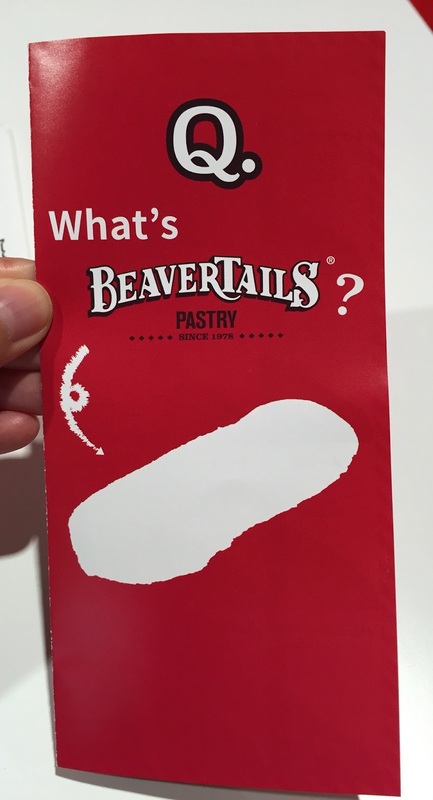 Popular pastry in Canada. I've never seen "Obama Tail" but when President Obama had visited a shop in Canada, he liked a menu topped with whipped cream and chocolate sauce, then they decorated the whipped cream with O-shaped as its initial. 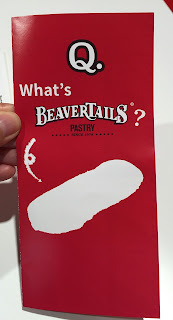 I got the Obama Tail and my husband had Maple. When we placed our order, they started stretching the dough made with roughly grounded wheat and put them into the fryer. It's nice to be able to see how they made the pastries and how clean the oil was. The paper bags were same as the ones in Montreal, and the lines were in French and English. Obama Tail consisted of cinnamon sugar, whipped cream and chocolate sauce. 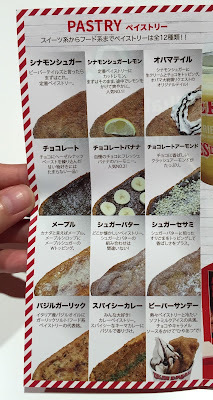 I don't like cinnamon that much and the spice was very very strong though there're other toppings. It's freshly fried, crispy outside with fluffy inside, and the greasiness were all the same to those we had in Canada.